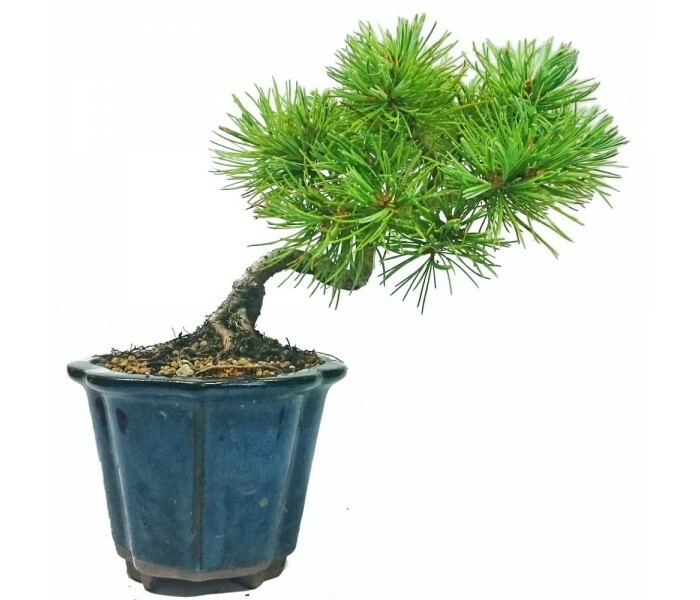 Japanese White Pine Bonsai - Pinus parviflora - hardy outdoor bonsai tree. Shohin sized and potted in a 10cm tall glazed semi cascade pot. Keep outdoors ideally in a sheltered position. 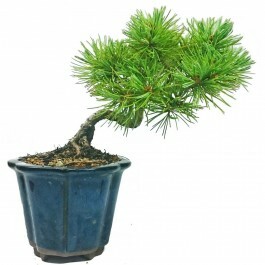 Frost hardy but protect from heavy, prolonged frosts - slow growing, evergreen bonsai tree. Potted in a free draining bonsai soil in a semi-cascade ceramic glazed pot. The pot is 10cm tall and 12cm diameter at the top. The tree extends 15cm tall above the top of the soil - 25cm total height.